Am 11. September 2018 kam “Identity: The Demand for Dignity and the Politics of Resentment” von Francis Fukuyama heraus; was folgt ist eine kleine Sammlung der Auzüge, Rezensionen und Podcasts zu dem Buch des amerikanischen Politikwissenschaftlers, dessen wohl bekanntestes Werk “The End of History and the Last Man” (auf Deutsch: “Das Ende der Geschichte”) ist. History is directional and progressive, and the modernization process points to liberal democracy as its fullest embodiment. But getting there is harder than it seemed back in 1992, and the possibility of institutional decay is ever-present. The fact of the matter is that I had been writing about identity consistently over the years, beginning with my 1992 book. The title of that work was The End of History and the Last Man. My superficial critics did not bother to read the book, and in particular ignored the concluding chapters on the “last man”. The latter, of course, was a reference to Nietzsche’s “men without chests,” that is, the docile, passionless individuals who emerged at the end of history. They had no chests because they had no pride, and that very passionlessness was what would drive a revolt against the modern world. Wer es sich lieber anhören will: Fukuyama hat einen Podcast von dem American-Interest-Essay aufgenommen, der hier auf Soundcloud zur Verfügung gestellt wird. Last week, I talked to Fukuyama, now 65, on the phone from his home in California, about his latest analysis. He had just returned from 10 days explaining the pull of democracy to middle-ranking officials in Iraq. I began by asking him whether an overestimation of rational motives in the electorate was a universal condition or one particularly pertinent to our times? 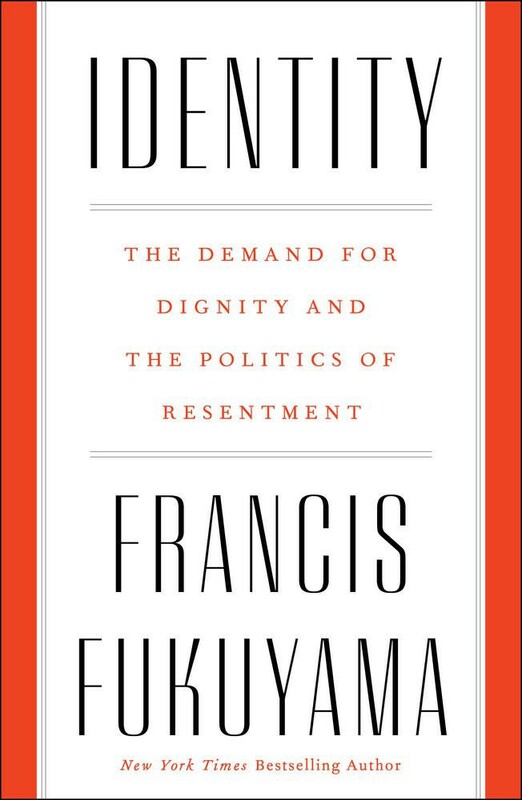 Fukuyama is more sympathetic to that need in “Identity.” The assertion of particular identities, and the insistence that respect be paid to them, is a hallmark of our age. And it is, in his telling, not because people are bad at reasoning or narrow, but because of how discombobulating our age has been. Fukuyama suggests that we are living in an era in which the sense of being dismissed, rather than material interest, is the locomotive of human affairs. The rulers of Russia, Hungary and China are driven by past national humiliations. Osama bin Laden was driven by the treatment of Palestinians. Black Lives Matter has been driven by the fatal disrespect of the police. And a large swath of the American right, which claims to loathe identity politics, is driven by its own perception of being dissed. Identity politics is pulling modern democracy apart. There is something insatiable about the recognition we demand for our identities these days. We want to be recognised as equals, but we also want to be valued as individuals with unique selves. We want our group identities — as women, as gay people, as ethnic minorities — acknowledged as equal, but we also want them uniquely entitled to reparation and redress. It’s not obvious how a modern democracy can meet all these demands at once — in which individuals are valued as equals, their unique selves respected as special, and their group claims all receive equal recognition. Something has to give, and what may be giving way is the very capacity of liberal democratic society to hold together. This, in a nutshell, is Francis Fukuyama’s diagnosis of the identity crisis besetting modern liberal democracy. Q. Let’s start where you start Identity: Donald Trump. The book is a response to his election. He also made an appearance in The End of History and the Last Man. A. One of the arguments I made in The End of History was that it’s good to have a democracy linked to a market economy because it acts as a sponge for the ambitious energies of people who could otherwise become Julius Caesar or Adolf Hitler. That’s the context in which I mention Donald Trump. Our political system has to absorb such people and render them safe. At that time, it looked like our system was doing that. He could be a real-estate developer or, later, an entertainer. That wasn’t enough for him, and he went into politics. Now we’ve got a real problem. Our constitutional system was designed to prevent the rise of fantastically ambitious individuals, to limit them through a system of checks and balances. That’s the test we’re up against right now. Does dignity trump material interest as the driving force in human affairs? What is the relationship between income and status, of others getting advantages that you don’t? Fukuyama: People’s happiness is driven more by relative rather than absolute levels of income and by social recognition. As Adam Smith noted in his “Theory of Moral Sentiments,” the rich man “glories” in his riches while the poor man is invisible to his fellow human beings. Many who voted for populist politicians feel that they have been invisible to elites who are indifferent to their struggles and ready to favor immigrants, minorities and others “less deserving.” This perception is untrue but nonetheless lies behind much of the anger from members of former majority populations. This is why Brexit voters were willing to risk economic costs as long as they could “get back their country” and why Trump voters are often happy with his confrontational anti-elite rhetoric in the absence of concrete socio-economic gains for themselves. The phrase “identity politics” has come to be used as a political insult. It’s now shorthand for pandering to voters according to demographics. But political scientist Francis Fukuyama says that everyone is playing at identity politics now — that nationalism, radical Islam and other movements are fueled by people wrestling with identity in an economic world order that’s letting them down. Also on the podcast, I argued with @FukuyamaFrancis about his new take on identity politics — he says they’ve given rise to Trump-style “white identity politics“ — and also asked after his personal drone collection. Und schließlich gibt’s ja auch noch die Leser-Rezensionen auf Amazon; wer sich die tatsächlich antun möchte, wird hier fündig.